Allow your students to sharpen their phonemic awareness by using this activity. Six different boards (each with two words) with sight words to match 1st-2nd grade. 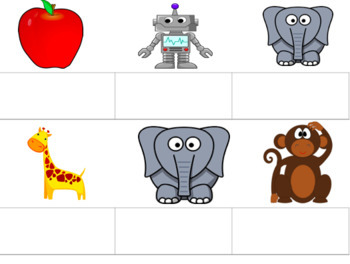 Students will match the letter with the sound the picture starts with. My student's enjoy using magnetic letters, but these sheets can also be put in sleeves and written on using an Expo marker. By using these Elkonin boxes, students will deepen their understanding of phonics and recognize that putting individual sounds together creates a word.